I used small peanut butter jars from the Target brand natural peanut butter. I used a 9″ piece of reclaimed wood for each wall vase. Cut your wood into 9″ pieces (or whatever size you want to work with your jars). Lay one of the jars on top of the wood and measure from the side, over the jar to the other side. 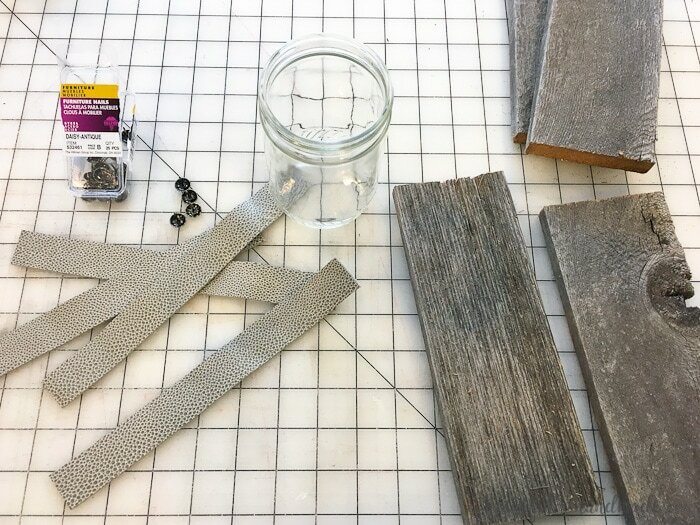 Cut your leather into 1″ strips to the length you just measured. 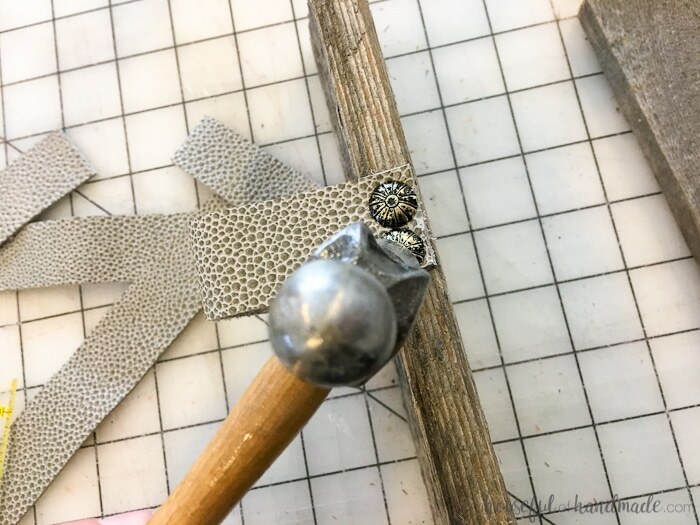 Using the hammer and furniture nails, secure one side of the leather to one side of the wood. 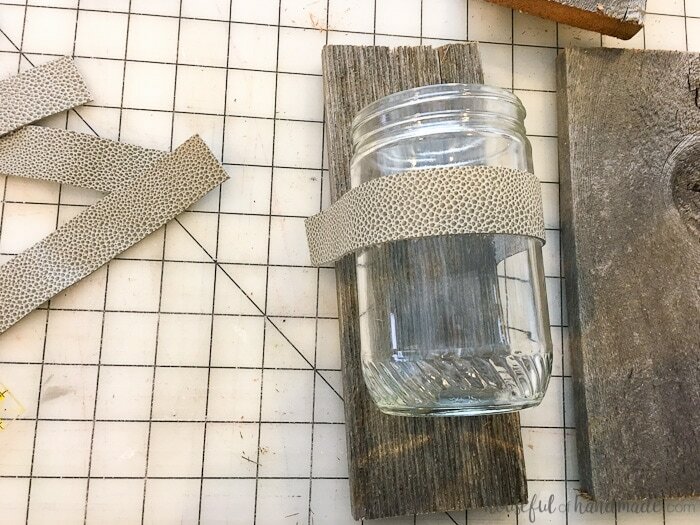 Place the jar on the wood where you want it and wrap the leather strip around it. Stretch the leather tight and secure with furniture tacks on the other side. Cut any excess leather off. 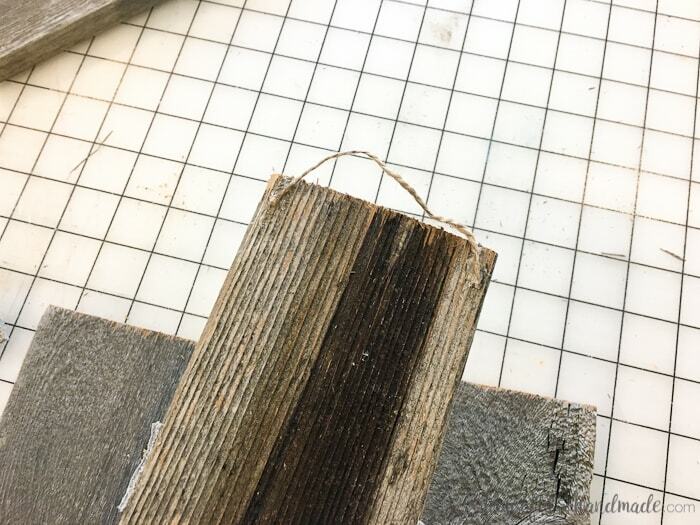 Hot glue twin to the upper back of the wood. The hot glued twine will only work for light loads. 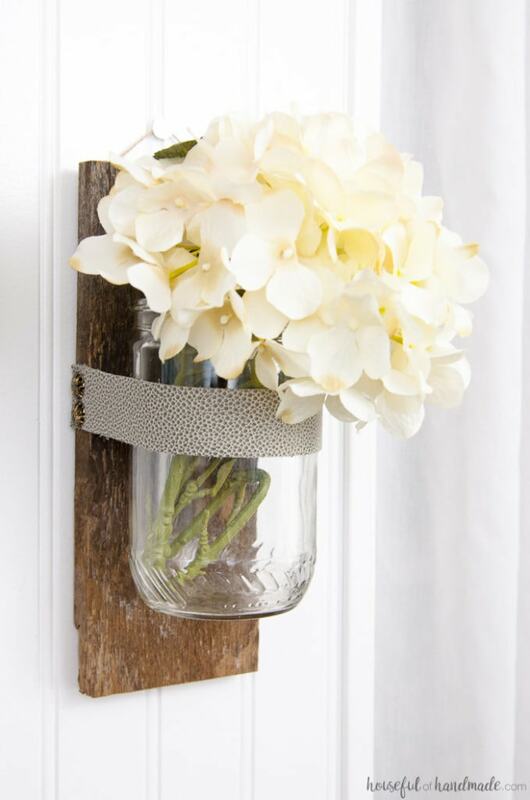 If you want to plant things in your wall vases or fill them with water for fresh flowers, use screws and thicker cord to create a way to hang them. 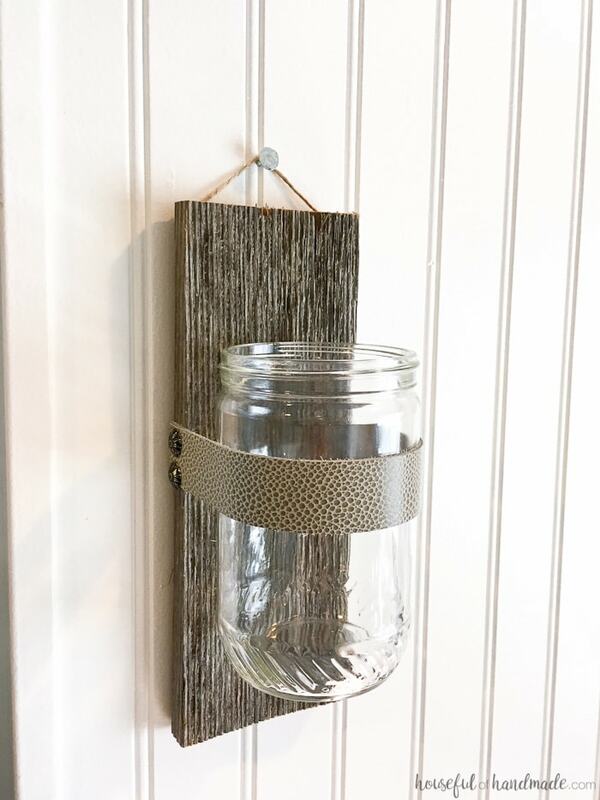 You could also use sawtooth picture hangers to create an invisible hanging solution. 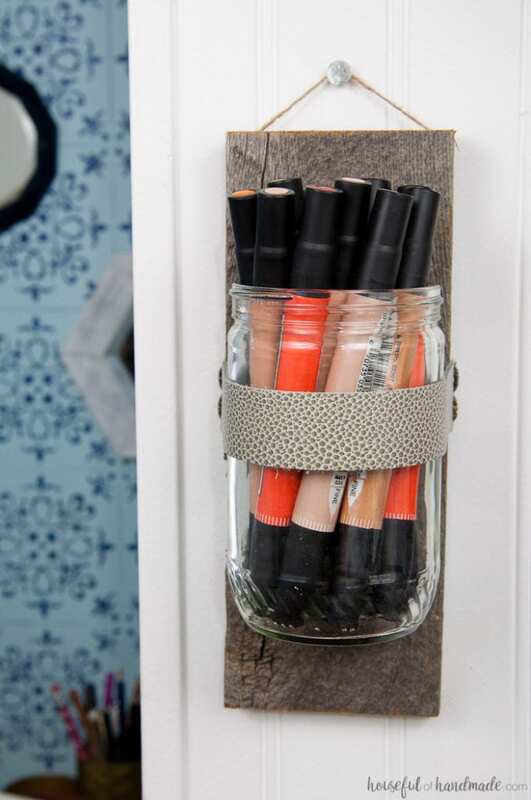 All that is left is to hammer a nail into your wall and display your new DIY wall vases. Can you believe how easy it was? 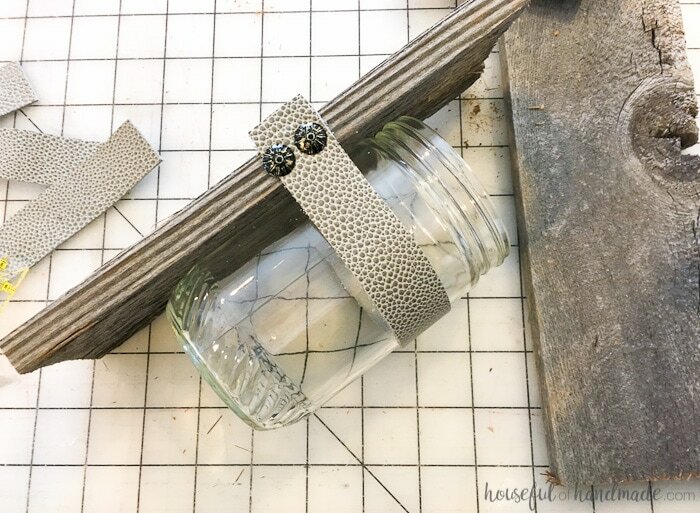 And using upcycled jars that were meant for the trash! Now you can fill them with your favorite things. They are so perfect for my colorful art markers. I sorted them into a rainbow of colors for easy access. Or fill them with flowers for a little touch of spring. Don’t you just love creating things that look expensive but were made of trash? I’m going to go enjoy my new office space now and even get a few more tutorials ready to share!